News comes from the Butterfield Racing camp this week that Nikki Butterfield has decided to once again compete in the professional triathlon ranks. Nikki will return to a select schedule of racing beginning in late 2014, the highlight of which will be the inaugural Challenge Bahrain on December 6th, where she’ll share the start line with husband Tyler. While Nikki has been hesitant to answer her competitive calling since the arrival of infant son Walker [now six months], the family’s second child in addition to three-and-a-half year old daughter Savana, she’s now eager to do so with a fresh–and far more flexible–approach to training and racing. “My whole career, I’ve always done what I thought I should do and what other people thought I should do. My program was extremely disciplined and calculated,” said Nikki. “It was the right way to train at the time, but now, in order to return to racing but still keep my family as my first priority, I’m doing things differently. I’m doing what I want. And by that I mean what fits in best with my family and keeps me happy. “If I want to run, I run; if I want to play with the kids, that’s what I do. I may not have a balanced program in many people’s eyes, but it’s fluid and flexible and it works with the time I have. Even with Nikki’s renewed interest in racing, Tyler’s career remains the family’s first priority athletically. The Butterfields’ key focus is preparing him for a top performance at the October Ironman World Championship. Following the race in Kona, the Butterfields will temporarily relocate to Noosa, Australia, allowing them to train in the summer climate and also providing close proximity to Nikki’s family. “My biggest concern with a return to racing has always been time away from my children,” said Nikki. “For me, the pull to be a full time parent is strong, but I do still have professional dreams as well. “I sort of view this as going back to work part time–just the right amount for our family. My mum offered to help with the kids, which is what finally made me feel comfortable with the decision. Nikki’s first race back will be Ironman 70.3 Mandurah [the Australian Pro Championship] on Nov 9th. Tyler may join her, dependent on his Kona result and his KPR standing post-race. The two will then travel together, sans children, to Bahrain for the inaugural Challenge Bahrain. The race marks an exciting opportunity for the pair to experience the renowned Challenge Family event series, and to return to the Middle East, where both earned career highlight victories at the Abu Dhabi International Triathlon [Tyler in 2014 and Nikki in 2012]. 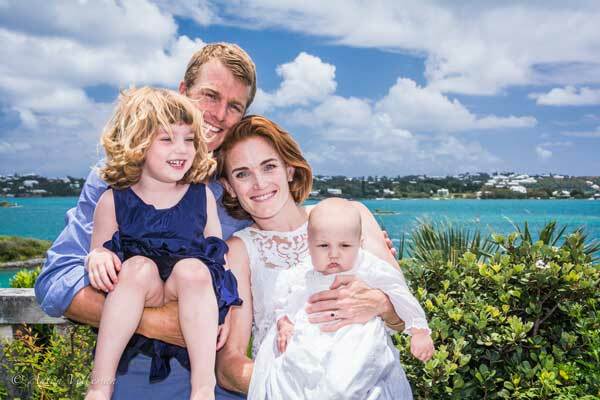 The Butterfields look forward to spending the Christmas holiday in Australia with Nikki’s family for the first time in a decade, then making the short trip to New Zealand for Ironman 70.3 Auckland [the Asia Pacific Championship] on January 18th. There again, Nikki is confirmed to race, while Tyler’s start will depend on his need for KPR points. Most likely the family will return to the States in late January where both Nikki and Tyler will fine-tune preparations for the 2015 Abu Dhabi International Triathlon. However, their time in Australia could be extended to enable Tyler to compete in nearby ITU races in hopes of earning a third Olympic berth [the 2015 ITU schedule has not yet been released].